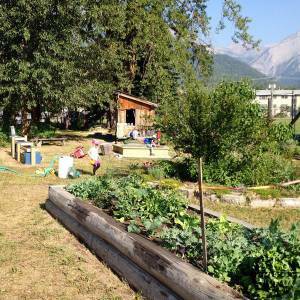 Since 2003, the Community EcoGarden in Fernie, BC has provided gardening opportunities and community education through sustainable organic projects. Inspired by permaculture principles, the garden enables members to utilize individual garden plots to grow and harvest flowers and vegetables. Located in Prentice Park, behind the Tom Uphill Memorial Home this common green space features a native plants demonstration garden and a hummingbird/butterfly garden. This program offers local growers & gardeners an easy way to sell their produce, and provides Fernie Mountain Market goers a great selection of local produce. From our Garden 2 Market stand locally grown flowers, fruits, vegetables, berries, fresh eggs and more can be sold & purchased – you bring the goods, we get them to the community! If you are interested in selling your harvest please review the information below. Wildsight will price and sell your products & retain 25% of the sale. 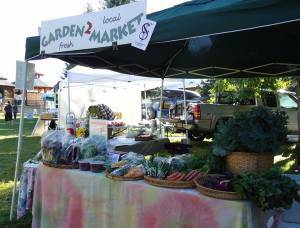 Payment to the growers and unsold produce can be picked up at 2pm at the Garden 2 Market booth. Tell all your friends about Wildsight’s Garden 2 Market program! All unsold produce not collected by 2pm will be donated to community organizations and/or volunteers.